We hope this Special Edition of #ThankfulThursday honoring the Give Miami Day movement–finds you well. 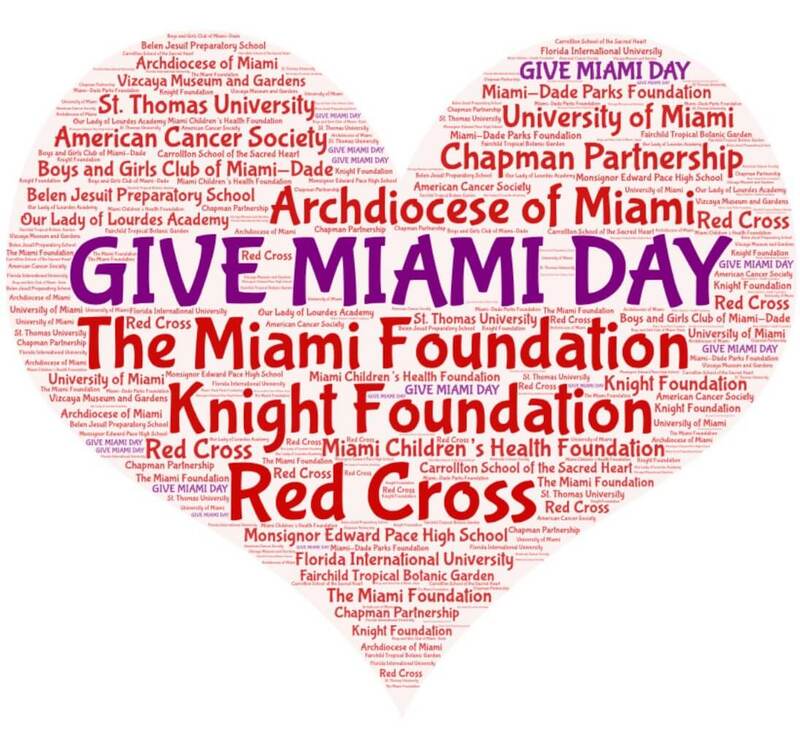 Last year, our friends at The Miami Foundation’s Give Miami Day raised $10.1 million in support of 700 local charities. Today the movement is in full swing. Marile, the kids and our parents are once again donating and asking you–our friends, clients and colleagues–to help our community and those in need. Last night, as we gathered to celebrate our 30 years of service and community involvement — we thanked our numerous distinguished guests for the blessings of their friendship, asked them to reflect on their own blessings and join us in gratitude on this Give Miami Day by supporting local charities. In honor of the our NEXT 30 years of service–our Lopez family will be making a special donation to 30 charities. We pray you will join us! Bonus Pool: The Miami Foundation and its partners maximize our community’s generosity by making a bonus gift for every donation between $25 and $10,000 made on Give Miami Day. For gifts greater than $10,000, the first $10,000 will be eligible for a bonus gift. Prizes help your selected organization(s) earn extra dollars. These hourly and milestone opportunities range from $500 to $1,500 in extra dollars for the winning nonprofits. An organization is only eligible to win one prize. Match Minutes help your selected organizations earn extra dollars by providing a 100% match for gifts between $25 and $100 made during the designated time frames. Each Match Minute has a pool of $15,000. Once the pool is exhausted, the matching opportunity ends. Happy Hour Special Prize – 4:30 – 6:30 p.m.
Lucky Number Seven Prize – 7:00 – 8:30 p.m.
$1,000 to the organization that raises the most dollars during this time period, in recognition of the seventh annual Give Miami Day. The Super Scholar Prize – 9:00 – 10:00 p.m.
$1,500 to the organization that receives the most unique gifts during this time period, celebrating the more than $1 million given in scholarships this year by The Miami Foundation and its donors.